For everyday matters, because every day matters! 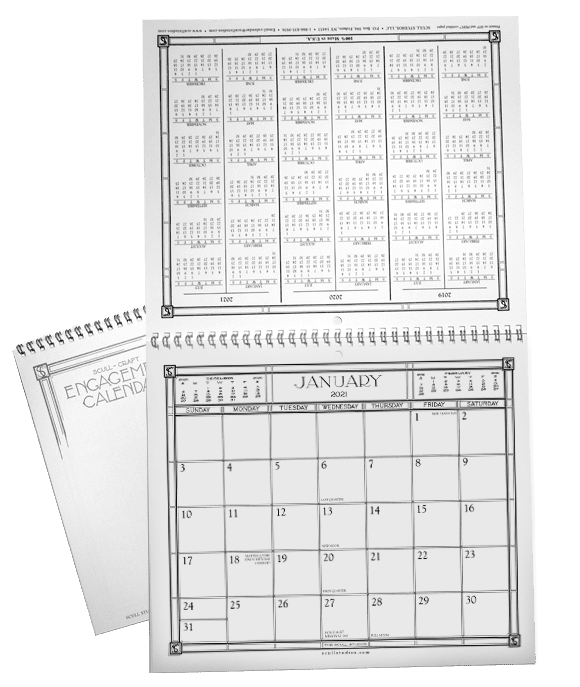 A popular engagement calendar since 1935, the Scull-Craft Calendar is produced on high quality paper, perfect for writing on (and erasing) and is considered the number one “green” calendar available. Our calendars reduce the amount of paper used while maintaining the same quality by printing the months on both sides and using non-glossy recycled paper. Perfect for a thoughtful gift, your office staff or fundraising for your organization. I have been using the Scull calendar since I was first employed at the National Institutes of Health and following my 38 year career I have been using it every year to date in my retirement!